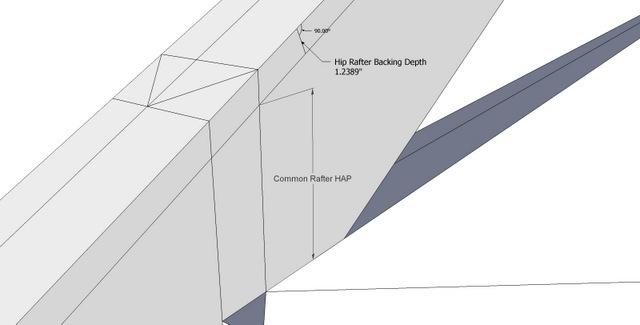 Side Cut of the Hip.—In connection with the hip there must be another cut considered, called the side cut of the hip, though the angle to obtain this cut is across the top or back of the rafter. 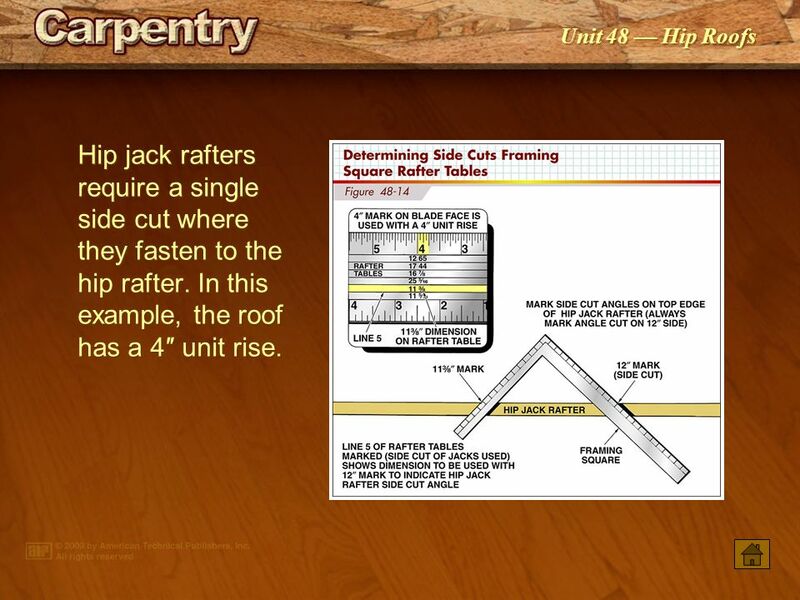 On it, common roof pitches are indicated as the rise (in inches, over a 12″ run), for common rafters from 1″ to 30″. Above this guide is another, marked “HIP-VAL.” This stands for “Hip-Valley” and refers to the rise over a 12″ run for Hip or Valley-type rafters.